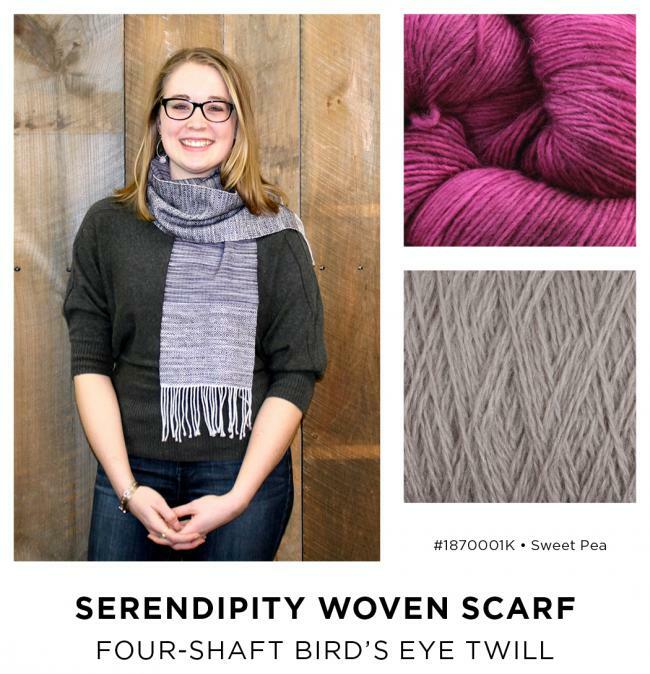 Weaving with two of your favorite yarns is now easier than ever with the Serendipity Scarf Kits! This is a fun and fast weaving project for a four-shaft loom. 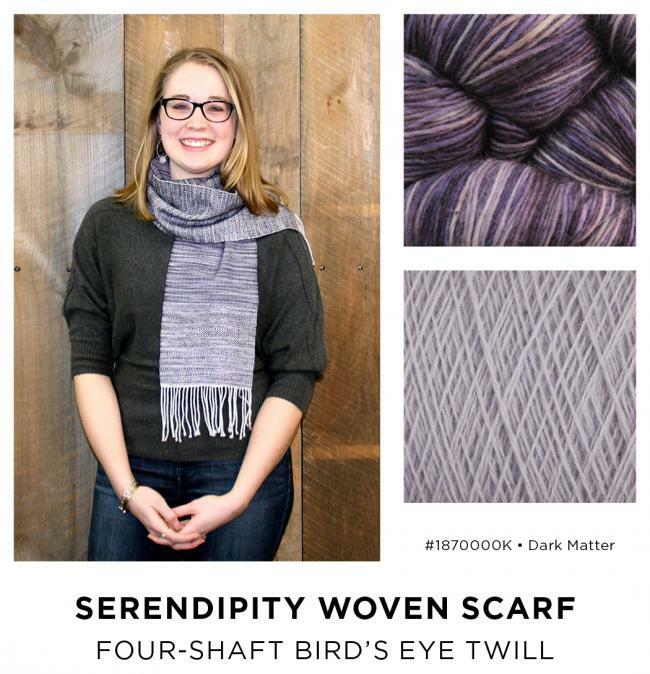 Available in three beautiful color combinations, the Serendipity Scarf is perfect for fall accessories or holiday gift giving! JaggerSpun Zephyr Wool-Silk 2/18 Yarn is paired with the beautifully variegated Malabrigo Lace Yarn in this elegant scarf. Weave a warm, yet lightweight fabric that features wonderful sheen and colorplay. 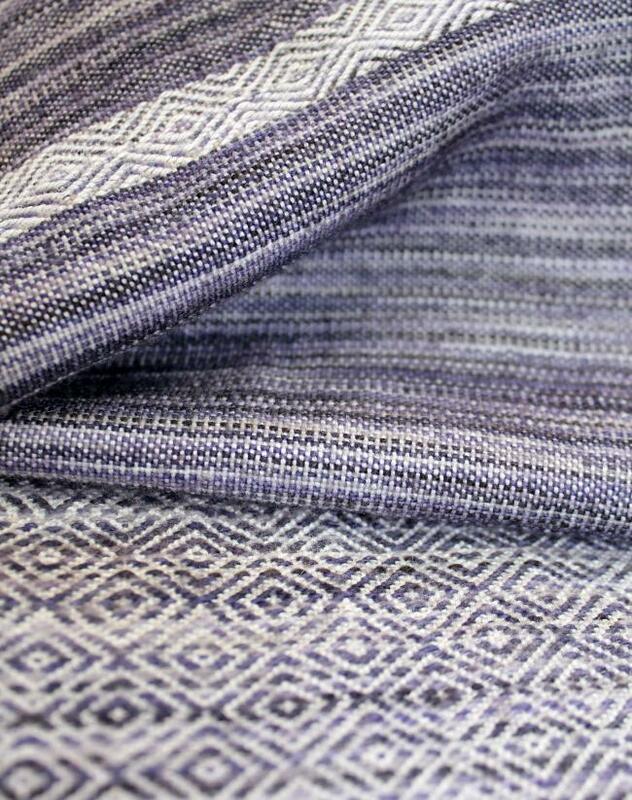 Sections of plain weave celebrate the natural tonal variations of Malabrigo, while sections of Bird’s Eye twill provide additional depth and interest. 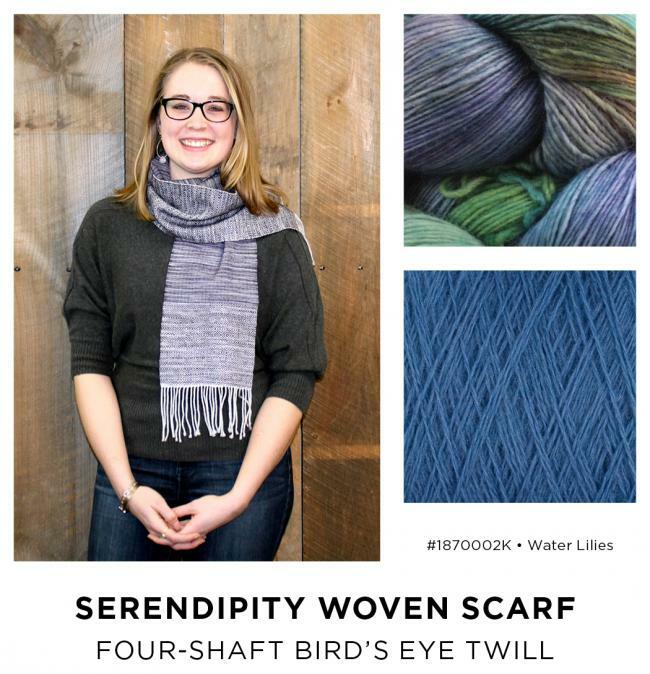 Emily Werner’s Serendipity Scarf is a great introduction to mixing twill and tabby, and the luxurious yarns make it a pleasure for any weaver, advanced beginner and beyond. 4-shaft loom with a weaving width of at least 10″, and a reed capable of 20 E.P.I. Kits include pattern, one skein of Malabrigo Lace Yarn, and one mini-cone of JaggerSpun Zephyr Wool-Silk 2/18 Yarn. 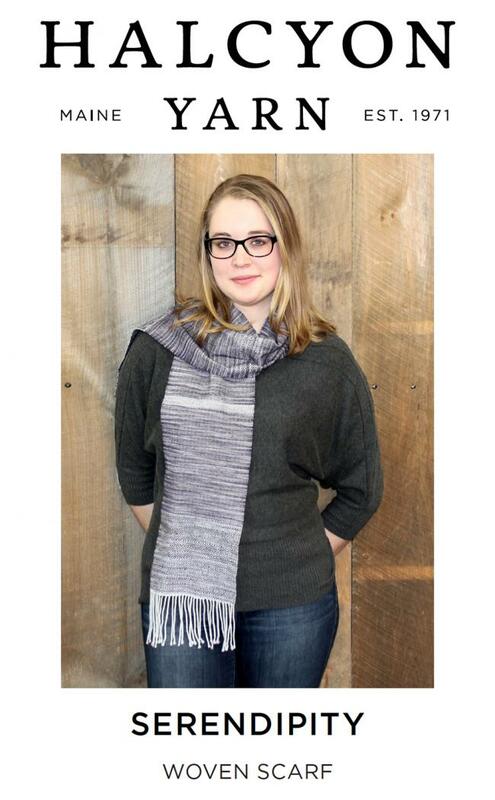 Each kit makes one finished scarf measuring approximately 7.25″ by 62″ plus a 5″ twisted fringe. Pattern available separately in print or download, so you can select your own colors, or buy the kit and save!